PwnageTool is available only for Mac OSX at this time. Windows users will have to wait for now. Download iPhone 3.0 firmware – You can use the direct download links as posted on technoNix. They are the original iPhone 3.0 firmwares. PwnageTool 3.0 will search for the correct firmware file itself. If not, then browse manually for the ipsw file downloaded in step 1. There you Are. You are now a proud owner of an Unlocked and Jailbreaked iPhone 3.0. Do some copy/Paste Stuff, send MMS, record video and much more stuff you can do with iPhone 3.0. Thank you Cody Overcash (at ModMyi) for the step by step guide. 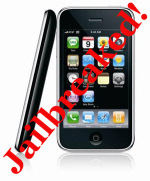 Update: You can now Jailbreak and unlock iPhone 2G 3.1 using pwnage tool. Check out the guide.